From December 26 to January 6, you can download a gift each day—songs, apps, books, movies, and more—with the 12 Days of Gifts app. Each day's gift will only be available for 24 hours, so download the free app to make sure you don’t miss out. Note: Not all content is available in all countries. There are still 10 days until the first gift in the 12 Days of Gifts app arrives. 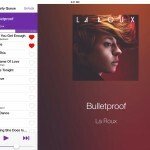 But as noted by 9to5Mac, Apple has unveiled an early gift in the form of a free single by one of this year's breakout artists, the New Zealand singer-songwriter Lorde. To get the single for free, just open the 12 Days of Gifts app and respond to the prompt or tap the "A gift to get you started" link. 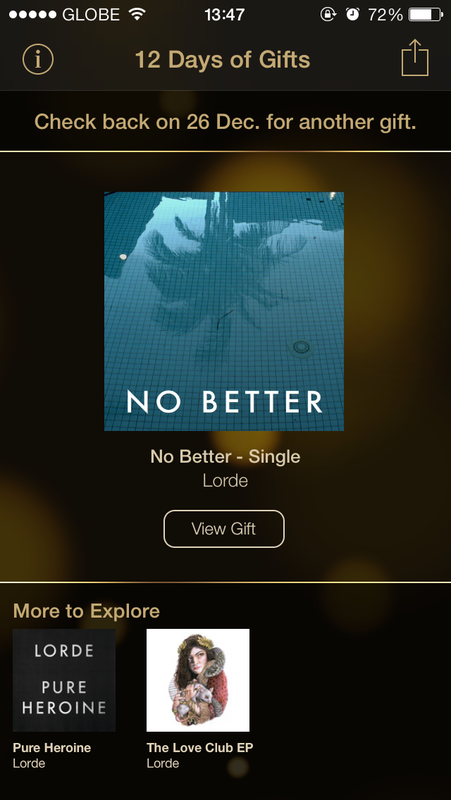 Then, proceed by tapping "View Gift" and downloading the single titled "No Better" along with the "TV Edit" version of Lorde's hit anti-bling anthem, "Royals." 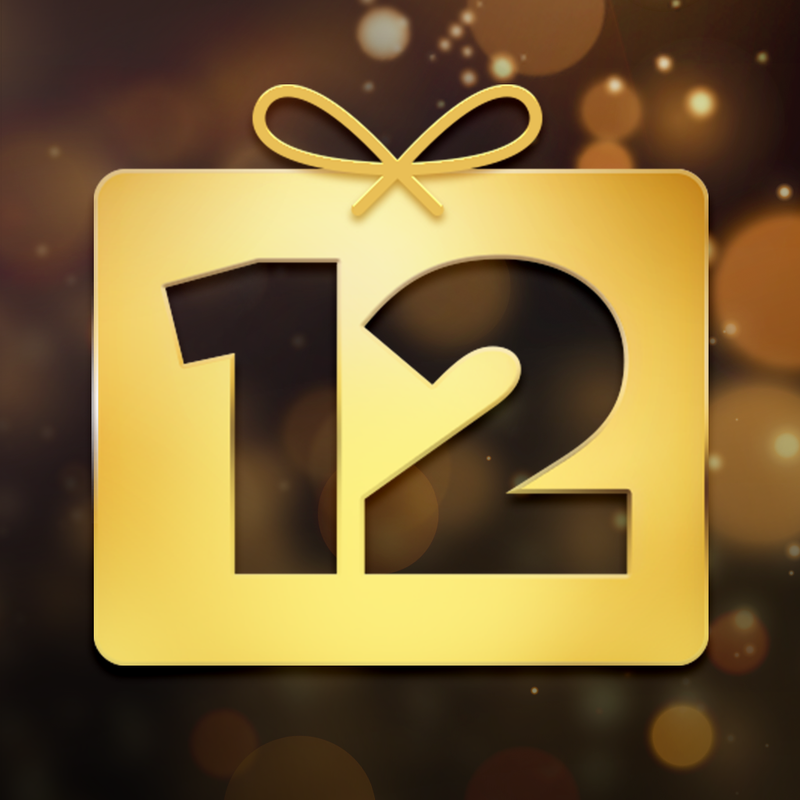 Apple's 12 Days of Gifts app is available in the App Store for free. 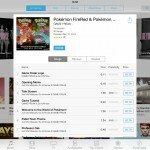 It's compatible with iPhone, iPod touch, and iPad running iOS 7.0 or later.